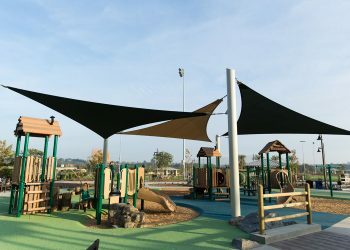 The Lake Forest City Council awarded a $35.9 million contract to Parkwest Landscape Construction to bring the new 86-acre park to life. 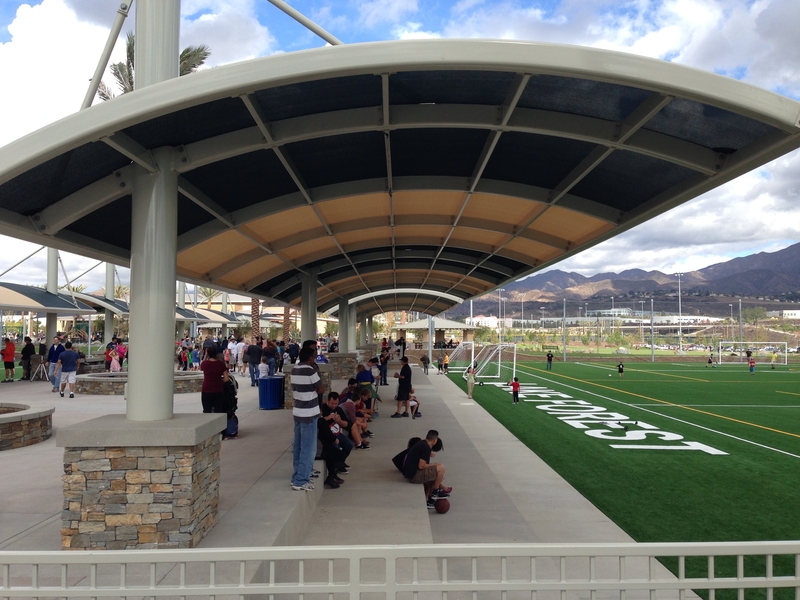 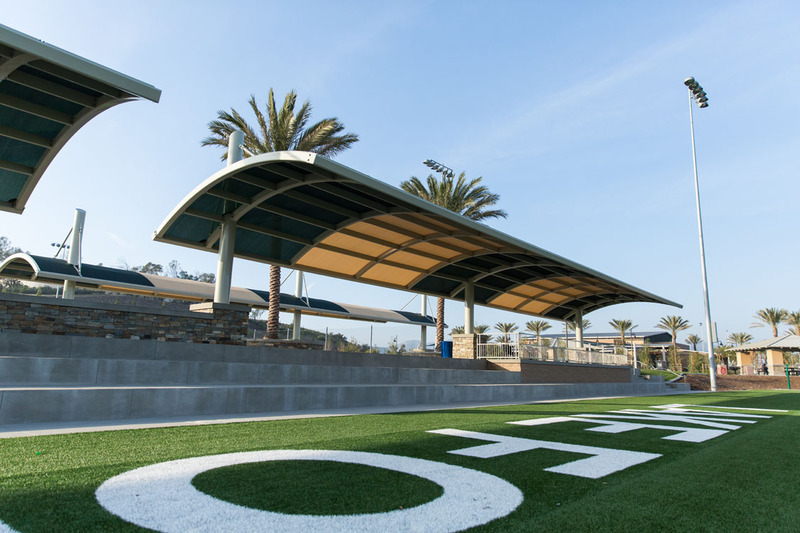 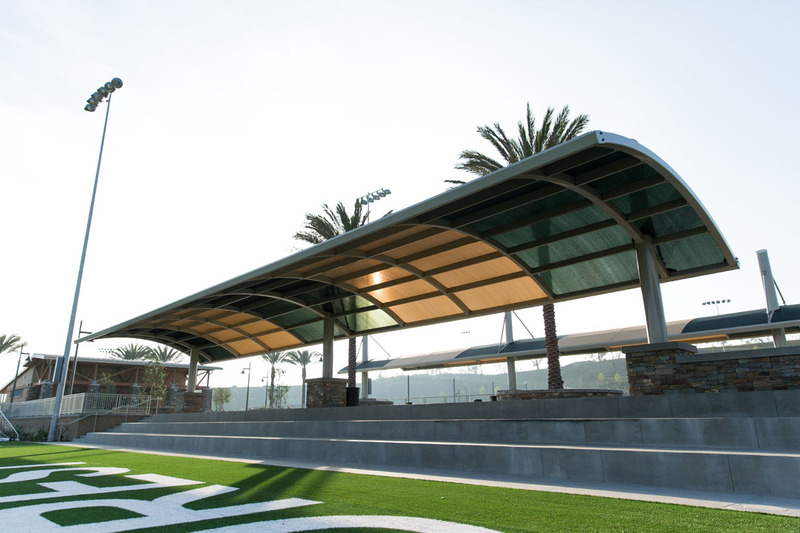 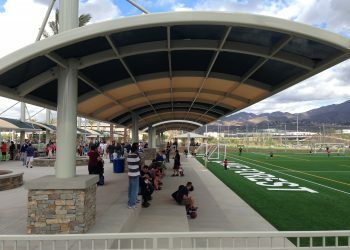 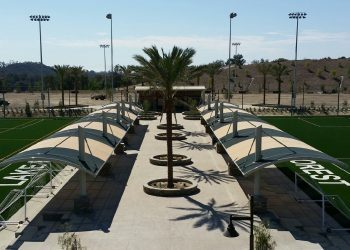 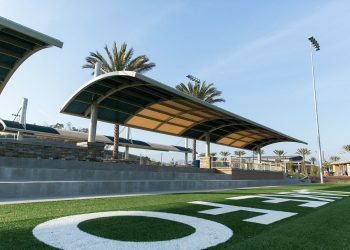 Parkwest Landscape selected Eide Industries for the structural design, fabrication and installation of seventeen (17) various Tensioned Fabric Structures, Site Shelters and Canopy Systems for the largest sports park in Orange County, California. 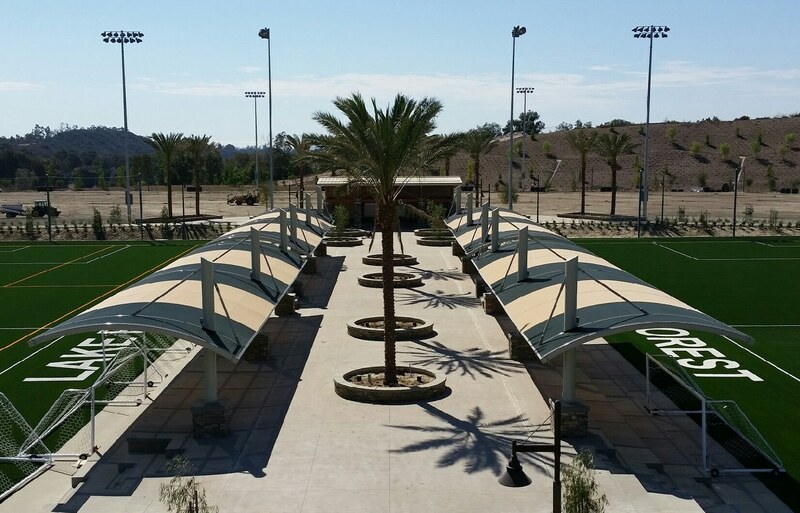 Eide successfully completed the fabrication and installation of all canopies throughout the Lake Forest Sports Park ahead of schedule and within budget. 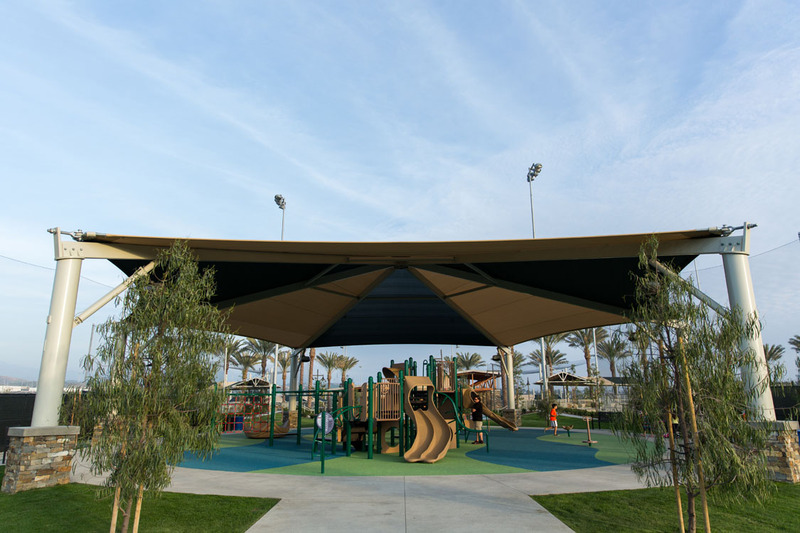 Total Project Size: COMBINED TOTAL Coverage Area for ALL (17) Structures is approximately 24,000 Square Feet.